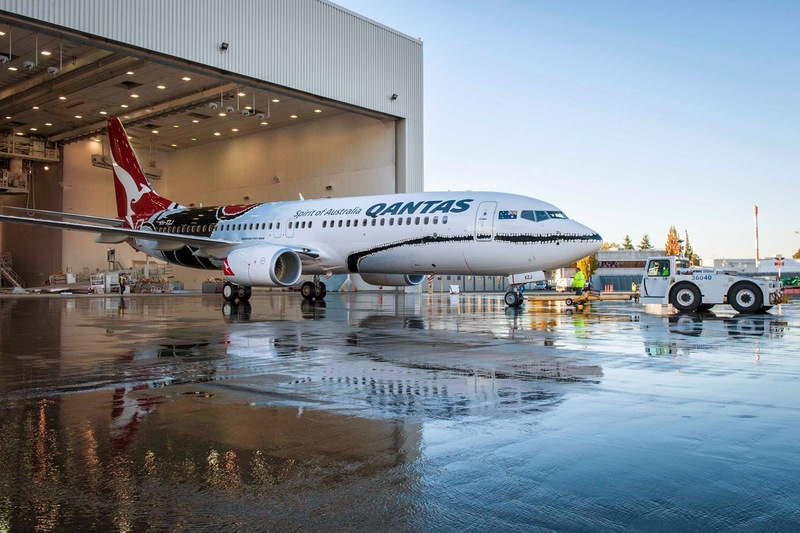 A Qantas 737 has broken cover at Boeing Field, Seattle wearing the latest in Qantas’s irregular series of “Flying Art” Indigenous paint schemes. Named Mendoowoorrji, the scheme is “from a painting which captures the heart of the Kimberley region”, according to Qantas. A special page on the Qantas website will detail the aircraft’s delivery flight to Australia, planned for mid November. Mendoowoorrji becomes the fifth Qantas aircraft to wear an indigenous scheme, with two 747-400s (first VH-OJB and then OEJ) wearing the Wunala Dreaming scheme, 747-300 VH-EBU was painted as Nalanji Dreaming, and 737-800 VH-VXB was painted as Yananyi Dreaming. 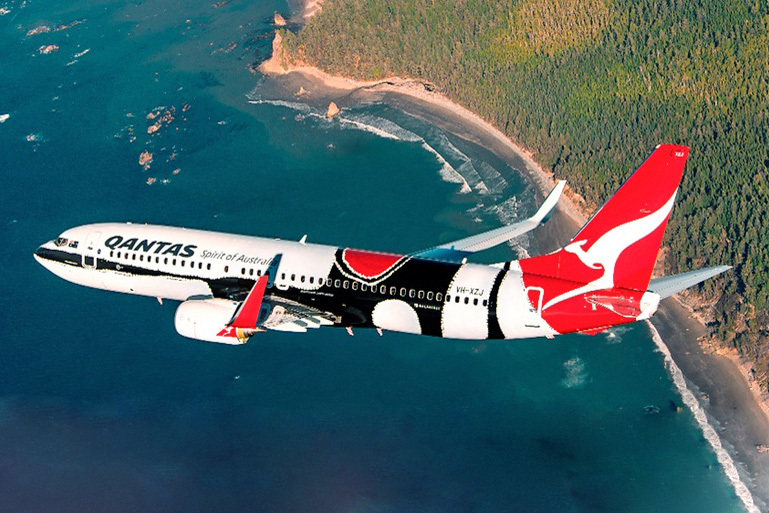 The latest 737-800 for Australian airline Qantas is truly unique, displaying a one of a kind livery. 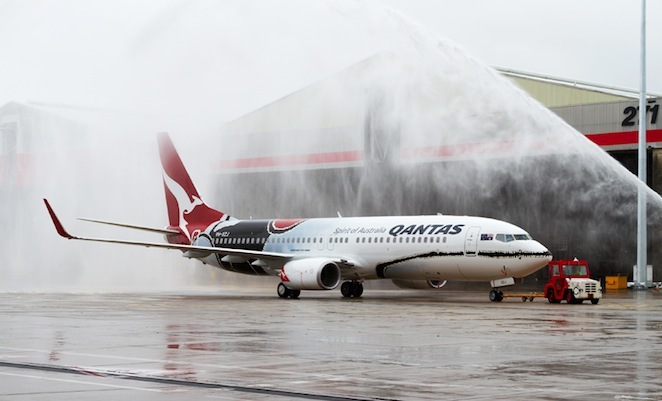 “We’re very proud to welcome this unique Boeing aircraft into our fleet,” said Qantas Head of Community, Laura Berry. Mendoowoorrji was a unique challenge for the Boeing paint team, who are used to schemes that call for perfectly smooth application and laser sharp symmetry. In this case, they were challenged to think more abstractly. 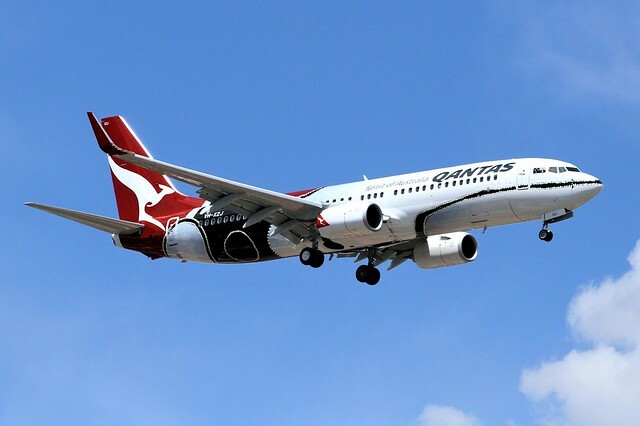 “This was more of taking what the artist and the people from Qantas were working on, getting what was in their head or their ideas, and putting it down on an airplane. 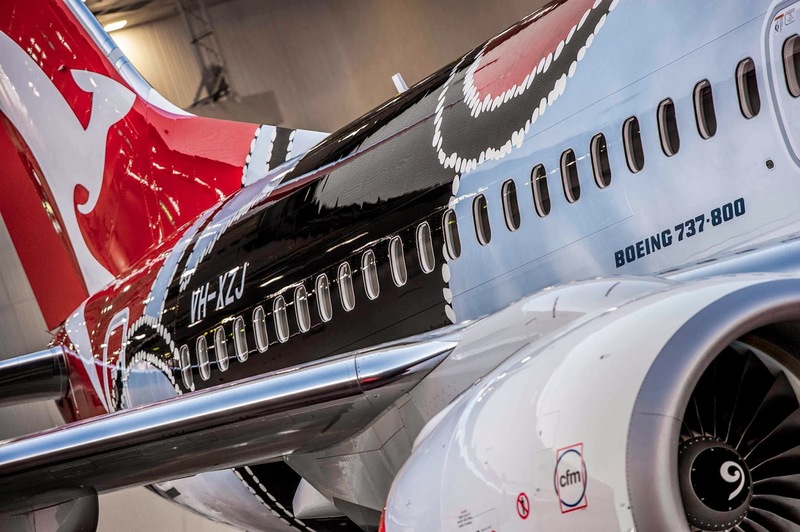 Trying to make an airplane look like a canvas painting,” said Boeing Decorative Painter, Steve Hoye.